Palisades News has learned that a well-used public trailhead and parking area in the Highlands has been closed and is in danger of being developed as a residential property. The property, at 16701 Via La Costa, was dedicated for public use in 1989 as part of an agreement between Headland Properties Associations, LLC, the developers of the Highlands, and the Coastal Commission. The trailhead’s bathroom and parking are closed off to public use. 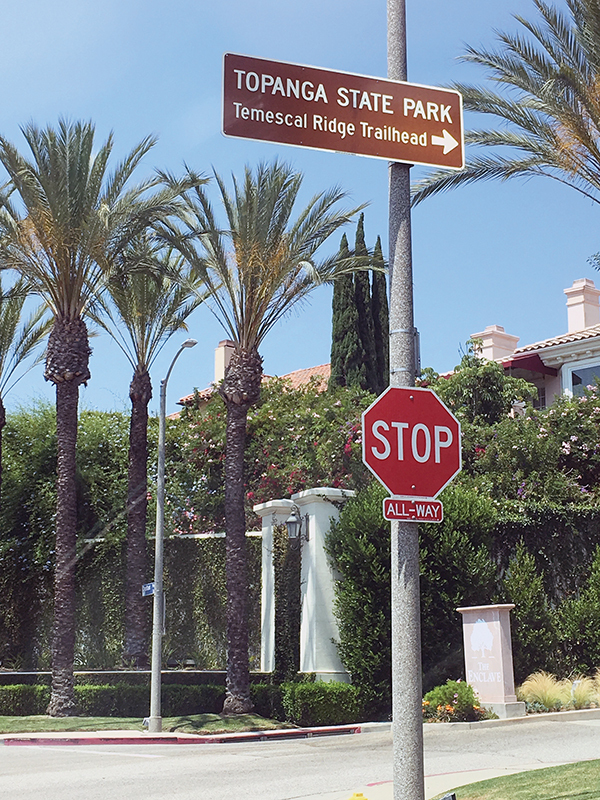 According to the agreement, Headland was required to build a restroom and parking spaces to make it easier for Los Angeles residents to access the Temescal Ridge Trail, which connects to Temescal Canyon and the Backbone Trail and also serves as a firebreak. The Department of Recreation and Parks would maintain and operate the facility, but taxes and ownership would not necessarily be the Department’s problem. From the very beginning of construction, Headland Properties went against the Coastal Commission agreement. June Miller, formerly June Perez, who lived in Pacific Palisades for 20 years and was an active member of the Temescal Canyon Association (TCA) board, kept tabs on the construction, including the bathroom and parking lot. One day in 1992 she noticed that a metal gate was being built around the facility. Concerned that the gate would cut off public access, she made a formal complaint. After many phone calls and Coastal Commission threats, the gate around the property was taken down. “They took the gate down, but they left the pylons up. I was positive they had intentions to put the gate back up,” Miller said. She was right. The gate was later reconstructed, although the property remained open to the public, allowing a short uphill hike to a ridge that offers a dramatic view of the Pacific coastline. After the completion of the bathroom and parking lot, the deed to the land was offered to the Department of Recreation and Parks, but officials chose not to accept it. The reasoning behind this refusal is unclear, but it meant that Headland remained the owner of the facility. Headland was none too happy about this and tried to turn the area into a more lucrative investment by extending the size of the property and planting non-native grass and palm trees. The Coastal Commission caught onto their plan and issued a Cease and Desist Order in 2001. It took until 2004 for Headland to admit defeat, undo their work and pay the Coastal Commission’s fine. It seems that Headland gave up on the property or, more likely, decided to get rid of it because they stopped paying their property taxes. The County of Los Angeles Treasurer and Tax Collector seized the property and sold it at public auction in October 2013 to Henri Levy for $350,000. Levy, who could not be reached for comment before our press deadline, owns at least 10 properties in the Los Angeles area, according to public records. He transferred the property in January 2014 to 1205-1207 Wooster Street, LLC, a company owned by him. The site remained opened to the public under Wooster Street, LLC, ownership until this past January when a heavy padlock was placed on the fence gate. In July, a “For Sale” sign was zip-tied to the property. There are at least three troubling aspects about this situation, according to Gil Dembo, president of the TCA. The first is that nowhere in the Coastal Commission agreement with Headland Properties does it say that the facility can be closed to the public. The second is that it is currently owned by Wooster Street, LLC, which is a private company. According to the agreement, the property should not have been auctioned and instead should have gone to the Department of Recreation and Parks or to a non-profit approved by the Coastal Commission. The third issue is that the property cannot be sold as a residential property. The property is currently a recreational property, according to the Coastal Commission. In order to have the property changed to a residential property, there would have to be an amendment to the current Coastal Commission agreement. The TCA found out about the closing of the restroom and parking facility three weeks ago. “[The TCA] is just an environmental group that’s trying to keep an eye on the community because the community works when people keep their eyes open on what’s going on,” Dembo said. Outraged that this is happening, the TCA is fighting to get the facility reopened, including sending a letter to Councilman Mike Bonin that is CC’ed to the Santa Monica Mountains Conservancy, the Mayor’s Office, the City Attorney’s Office, the California Department of Parks and Recreation, and the Pacific Palisades Community Council. Councilman Bonin’s office is currently looking into the issue, according to his communications director, David Graham-Caso. The Angeles Chapter of the Sierra Club is also investigating the closure of the restroom and parking lot. Their concern is that if a house is built on the property, access to the Temescal Ridge Trail could be cut off. “The history of trails in the Santa Monica Mountains NRA [National Recreation Area] is rampant with stories of developers buying land and blocking off adjacent trailheads to keep hikers far away from the houses,” Mary Ann Webster, chair of the Santa Monica Mountains Task Force, said. Palisades News reported the closure of the property to the California Coastal Commission. As of July 21 they were investigating the issue. 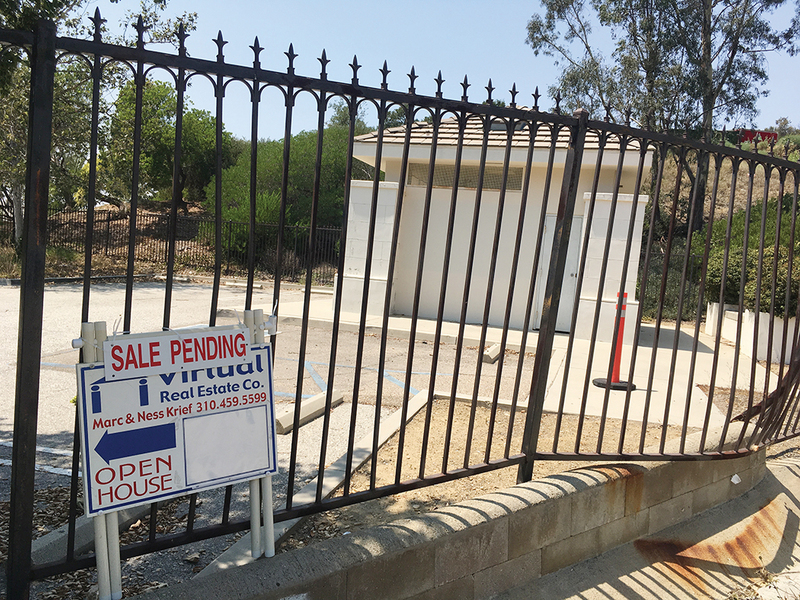 The sale of the property is on hold, pending the Coastal Commission’s findings. “We are doing our due diligence with the Coastal [Commission] . . . and extending escrow until we know the final legal use,” realtor Krief said. When asked whether his client (Levy) would be reopening the facility, Krief responded that he neither had the keys to the property nor was in charge of making the decisions.